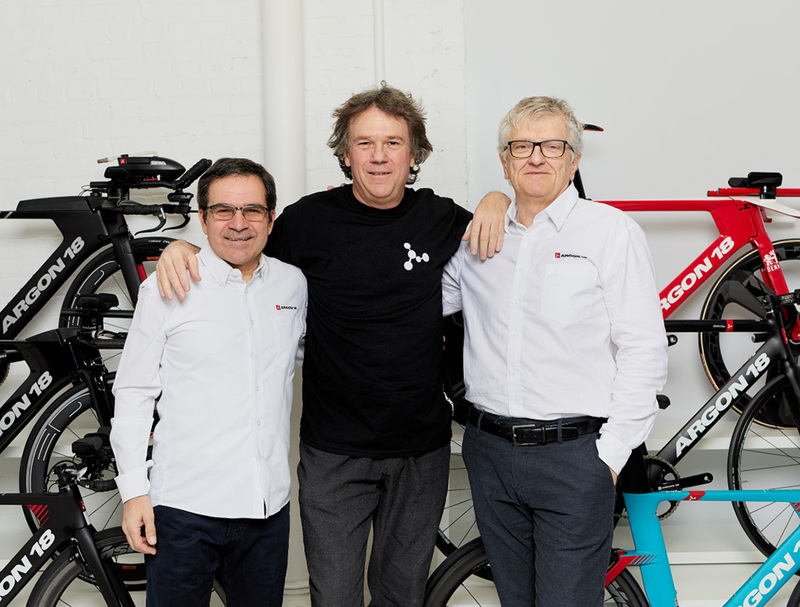 Following the announcement last December of a strategic investment by Danish shareholder Bregnerød Investeringsselskab Aps (who became a major shareholder), Argon 18 pleased to announce the appointment of Martin Le Sauteur as President/CEO of Argon 18, the Montreal-based bike manufacturing company. With over 30 years of experience in both marketing and technology sectors, recognized for his expertise in the management of high-growth world-class companies, Mr. Le Sauteur will join Argon 18 on February 18th, with the goal of leading the business in its next phase of expansion. Mr. Gervais Rioux looks towards an optimistic future for the business that he founded almost 20 years ago. "I'm very proud to have built, with members of my team, a business that has made its mark around the world. With this in mind, I am now delighted to welcome Martin Le Sauteur - an accomplished and visionary businessman, as well as a serious cycling enthusiast - as the new President/CEO. With my full support, he will take the brand to the next level of growth. Martin's arrival now allows me to concentrate on my initial passions when I started the Argon 18 company - the vision, innovation and business development." Passionate about cycling and new technologies, and already very involved as an advisor at Notio Technologies, a subsidiary of Argon 18, Martin Le Sauteur will take the lead of both companies. "It's with great enthusiasm that I take on this opportunity, and I look forward to joining a business that has earned an enviable international reputation, thanks to its creativity and multiple innovations. The cycling industry is undergoing a major evolution: consolidation of companies, distribution methods, integration of new IOT [Internet of Things] and AI technologies - it's all moving very fast. My role will thus be to ensure that we are nothing less than the undisputed world leader in the integration of advanced technologies into bicycles. It's an undeniable growth driver and Argon 18 understands it very well. Their involvement in Notio Technologies is serious evidence of this. We want to offer consumers bicycles that are on the cutting edge of performance, connectivity and safety." Following the investment made by Bregnerød Investeringsselskab Aps in Argon 18, the nomination of Martin Le Sauteur confirms Argon 18's clear intention to maintain their head office and operations in Montreal, Canada - precisely where the brand was created. Martin Le Sauteur is a seasoned executive with an impressive track record of leading companies to rapid high-growth success. Le Sauteur joins Argon 18 from iperceptions, a global leader in research and audience solutions, where he was CEO since 2016. Prior to joining iperception, he had been President and Chief Operating Officer at Marketel McCann Erickson, an award-winning advertising agency. His previous experiences also include: President and Chief Executive Officer at Acquisio, one of the fastest-growing companies in North America. At Acquisio, he led the company through the successful integration of several acquisitions and positioned the company as a leader in the marketing technology space. Before joining the Acquisio team, he was Co-Founder and Chief Operating Officer at Nurun, one of the top 50 interactive agencies in the world.